Dowling Construction Inc. was established in 1985 and is a family-owned and family-oriented business. We have expertise in all phases of construction from the ground up in both residential and commercial construction. We can also assist you with finding that perfect site for your project. 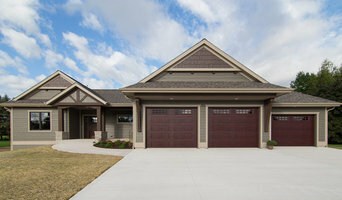 We are now expanding our business and expertise to the custom built modular home market by partnering with Wisconsin Homes and Stratford Homes, Wisconsin's premier modular home manufacturers. Your new home (designed by you or chosen from our many designs) is built inside a controlled environment eliminating the issues of weather conditions. All frame-work is done in jigs so every corner is precise. In the time it takes to get the financing of the project complete, the foundation can be installed and your home ordered and ready to be set. It is very possible to be in your new home in 4 to 10 weeks! 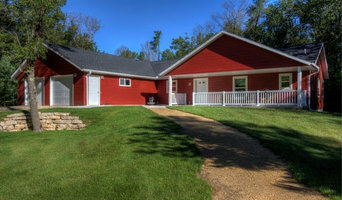 Wisconsin Homes & Stratford Homes custom built modular homes are not to be confused with a trailer/mobile home and not all manufactured/modular homes are built the same. Our modular homes are indeed built indoors but are built to meet Wisconsin UDC (Uniform Dwellings Code), not built to the Manufactured Home Construction and Safety Standards (HUD Code) in which mobile homes are built. During the building process, State inspectors come in and do regular inspections of the home in its different stages, the same as a site-built home. In addition to our custom built modular home being built indoors (out of the weather elements), it’s built using 25% more lumber (engineered to be stronger) and is more energy efficient. Also, the appraised value on a Wisconsin Homes custom modular home is the same, and sometimes better, than a typical site-built home. 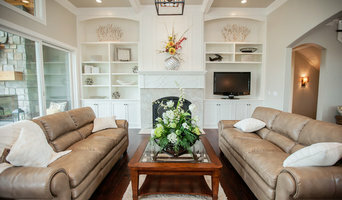 Moore Designs is a full-service architectural home designer and builder of custom homes with a long-standing reputation for attention to detail, construction of superb quality homes as-well-as exemplary follow through. We specialize in designing and building new homes and completing upscale renovations. Approximately 60% of the projects we build are executed through designs developed through our firm while 40% of the projects we build are for clients whose plans have been developed through separate architectural firms. Our service area includes both the Milwaukee metropolitan area as well as the north woods. Alair Homes is an award-winning custom home build and renovation company helping individuals and families enjoy happier, healthier, more productive and more comfortable lifestyles. We partner with our clients to create thoughtfully designed and intentionally styled spaces that endure. Our philosophy is simple; we want to be completely unified with you in our goal of achieving an incredible product, on time and on budget. We know that there is only one way to do that—with transparency, thorough planning up front, and truly superior management systems for executing seamless projects. Every detail of our business as it relates to each project is an open book to our clients. Budgets, trade quotes, trade contracts, material costs—absolutely everything. What we see is what you see. Every Alair Homes project begins in our exclusive proprietary project management program. With this easy-to-use software, clients have access to real-time accounting updates, schedules, selections, sub trade communications, project specs, sub trade quotes and project galleries. We work with the absolute best suppliers and sub-contractors and get the best materials and products possible for your project. We pass all of our buying power, our trade relationships, and our unparalleled best practices directly to our clients. Alair Homes Green Bay was previously known as Roc Building Solutions.